The dream palace of a doctor. 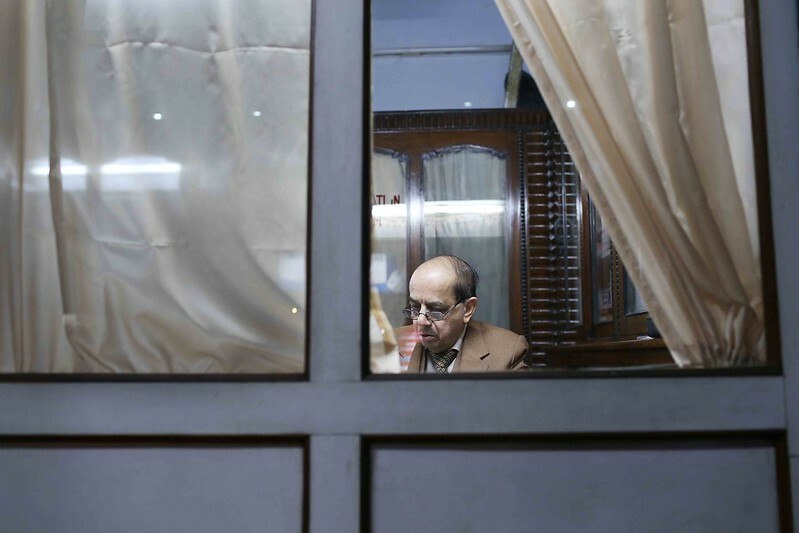 An elderly man is patiently looking out into the street through a curtained glass window. He is dressed in a three-piece suit, complete with a tie. 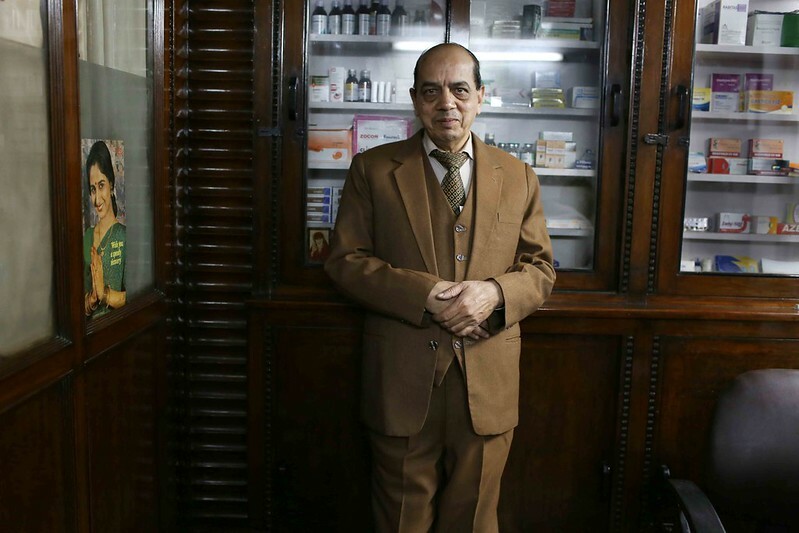 The 63-year-old Vinod Kumar Jain—MBBS, Gold Medalist—awaits his next patient. 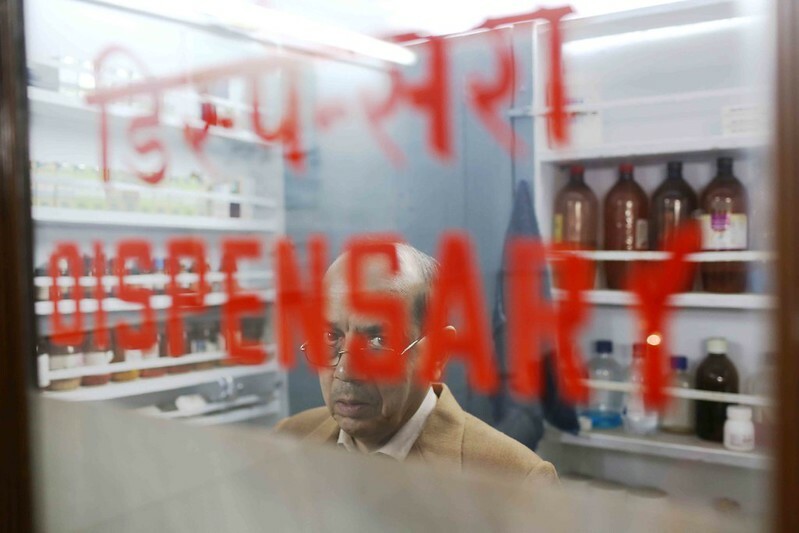 The Delhi Walla meets Mr Jain, a “general practitioner”, one evening in the hotel district of Paharganj. 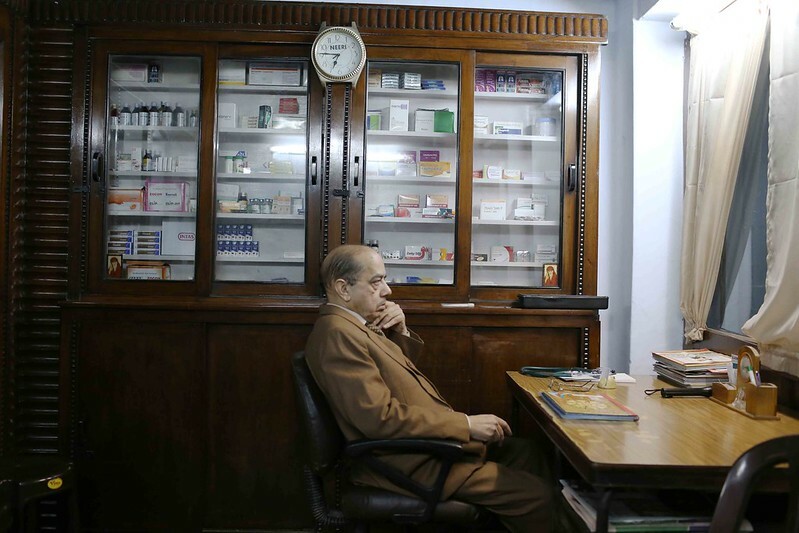 His clinic, opposite the now-closed Imperial cinema, is soaked in the ambiance of a previous world. 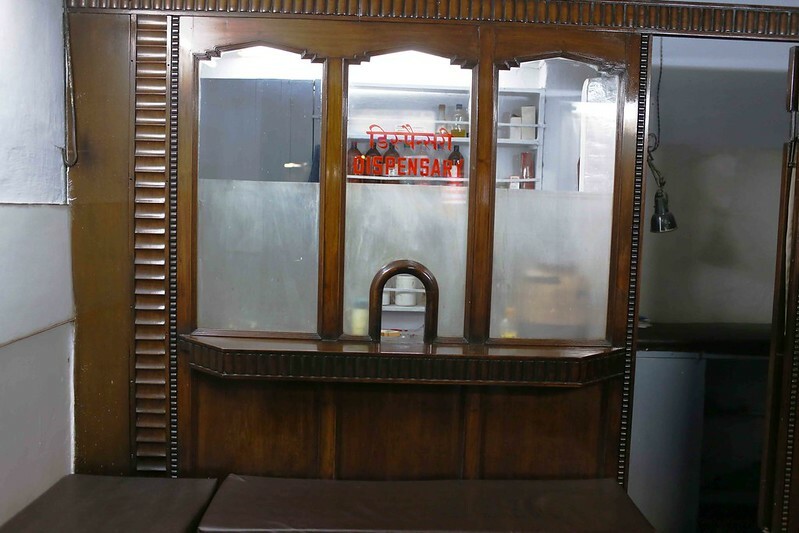 The wood paneled walls date back to 1953 when the clinic was set up by Mr Jain’s father, Sumer Chand Jain. 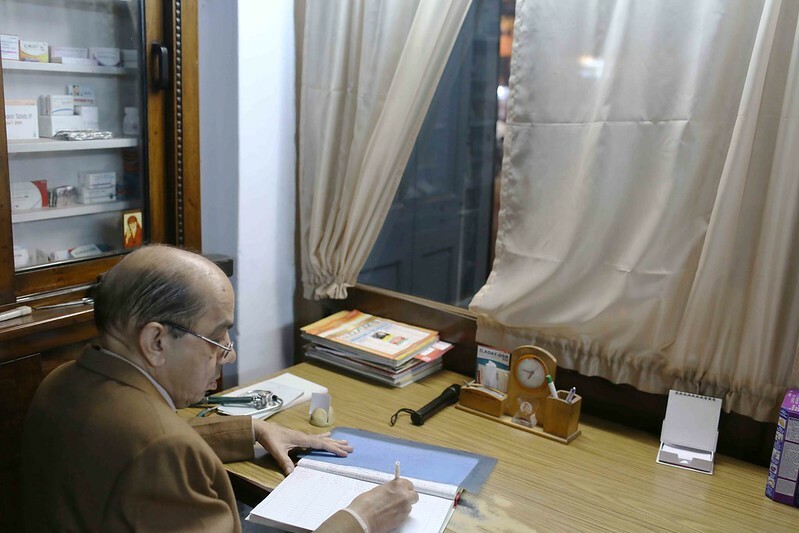 The Senior Jain, too, was a “general practitioner”—he had named the clinic after his father who was a hakeem in a village near Delhi. The clinic’s interiors look like the cozy lobby of a family-run hotel, though it is as tiny as a neighborhood grocery. Glass cabinets are lined with handsome wood. 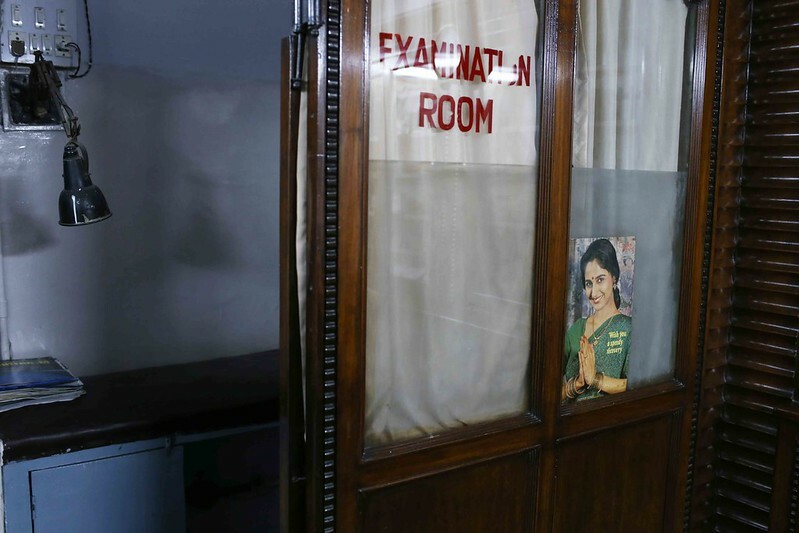 There are also two chambers—one is labelled ‘Dispensary’, and the other is ‘Examination Room’. The dispensary’s counter is built like a cinema’s box office window. Mr Jain’s patients tend to be too preoccupied with their fevers and aches to notice the formal dignity of his clinic or his dress. 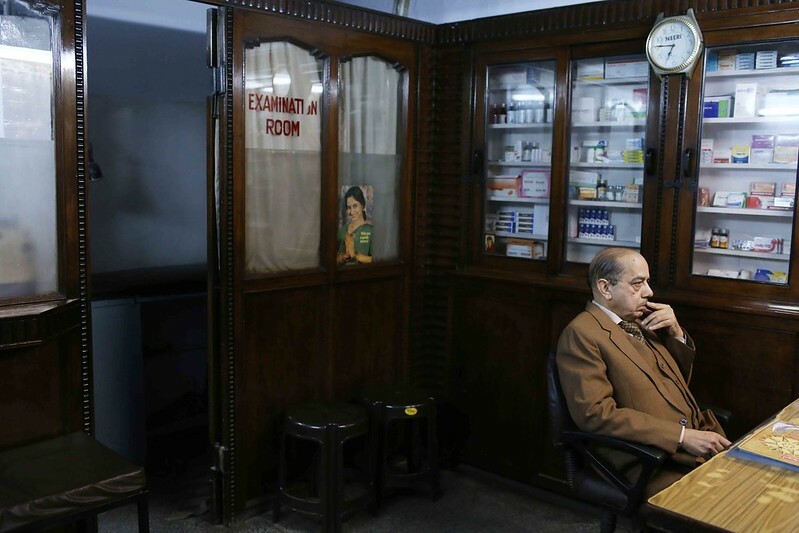 Even so, it is almost impossible in this city to come across a doctor’s establishment as stately as Hem Raj Clinic, and a doctor as immaculately dressed as Mr Jain. The doctor lives in the nearby town of Faridabad and commutes daily (Sunday excluded) on the metro train. 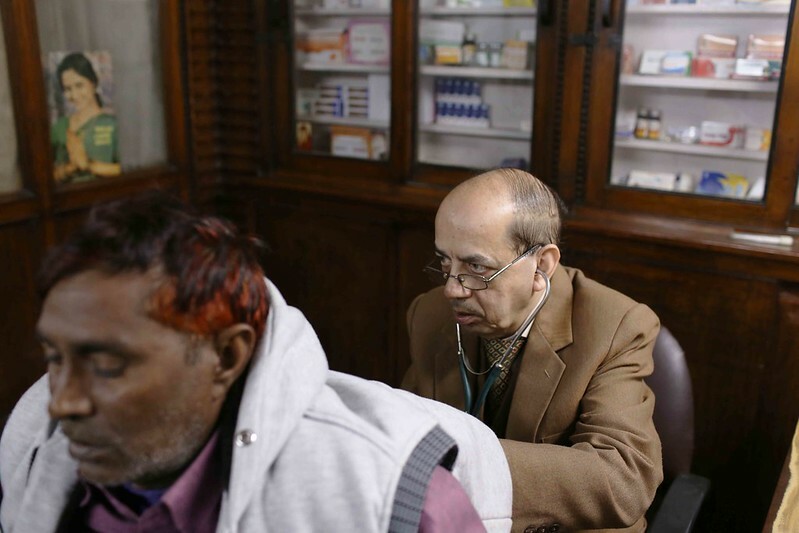 After examining a child, and a middle-aged man, and sending them off with medicines, Mr Jain is left alone in the clinic. He again turns his unhurried gaze towards the glass window. I don’t know but its such a difficult profession, or maybe a beautiful one. where one would keep waiting for their customer, and then if he’s gone wait for another one. and then you get old, the kids grow up. the clinic but remains the same, like the time did never move.